"... guilds in Chronicles of Elyria act as professional societies and unions specialising in a specific craft." What is the Mountain's Mixture [MM] Guild? What is this Guilds specialising profession? 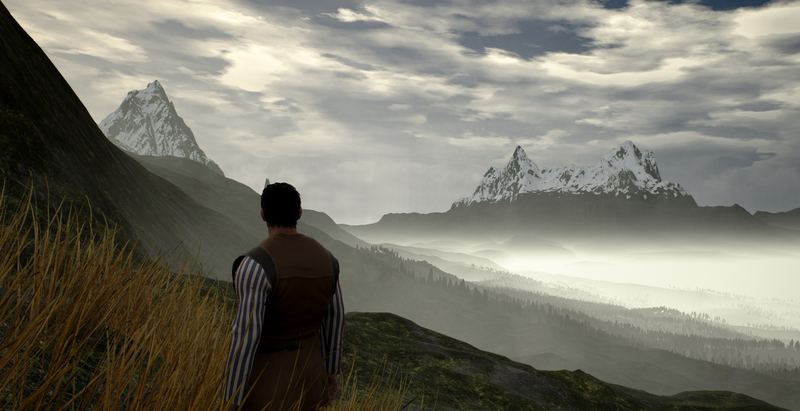 Mountain's Mixture is a Guild that specialising in the trade and the learning of the ALCHEMY profession in Chronicles of Elyria. It is a Guild for anyone who has the desire to use and create a diverse range of potions and other alchemical creations (or just master this skill as fast as possible). Whether you're a hero of a town that needs a collection of strong healing potions, a Brudvir who needs an anti-toxin or a deviant looking to trade in addictive drugs... Mountain's Mixture will provide you the environment to level your alchemy based skills, and some others (like glass forging and farming), extremely quickly while allowing you to generate your own personal profit. The Mountain's Mixture Guild specialises in Alchemy and is located within Aequitas, leaning comfortably on a Mountain Steppe. The Mountain Steppe biome is close to other regions that have a diverse range of herbs and plants (such as the Broadleaf forest). The tunnels the Hrothi live in also provide a unique ability to cultivate massive Fungi farms, allowing for consistent and fast alchemy levelling. Don't worry, the tunnel leading to our Guild's Fungi Cave will be big enough for anyone to walk through comfortably [even a pure bred Yoru!] and it should be quite the sight to behold. While a majority of alchemists in the Mountain's Mixture Guild will be Hrothi and Brudvir, all tribes will receive a warm welcome and plenty of protection. Join us for the potion guzzling lifestyle, become familiar with how people may use alchemy against you and develop your souls skill ramps faster than normal with MM! This guilds primary focus is allowing you to level this profession's skill areas extremely rapidly, using the Hrothi's ability to harvest a range of Fungus en masse. Having connections to the Neran, we're able to grant large amounts of basic ingredients as well as the more diverse kinds. 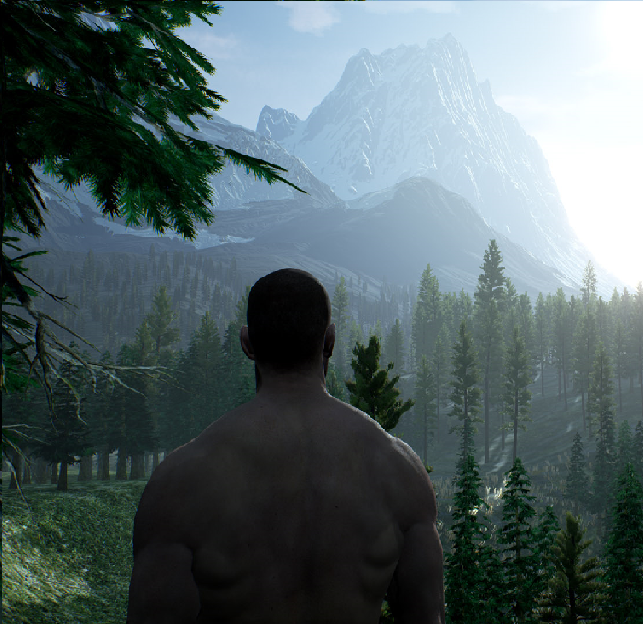 Being able to hide away in the Mountain Steppes under the protection of the Brudvir and Hrothi means you're far safer than you would be with other more volatile tribes such as the Janoa... or be constantly at risk like in the swamp Biome. The Hrothi and Brudvir are extremely honourable. So is the APAC Kingdom of Aequitas. With stone vaults and large, safe, communal storage zones within the area... you've also opened up the possibility of progressing monetarily. With other tribes, even the To'resk, you might be cheated out of some of your goods. With this guild, you're allowed to take your product and store them safely in the banks of these honourable tribes. Being an alchemist in The Mountain Steppe is a far safer way to go (if you also intend on developing fame and money) than any other option you will have. Besides the raw efficiency [Fungi cultivation] and the ability to progress your fame and currency, you'll be apart of a tight community that is experimenting with exciting areas of alchemy. What affects do drugs have on Mann? How does addiction work? Can a good enough stimulant make even a Kypiq somewhat scary? Does a good potion increase my body warmth, or slow my food drain? Lets find out together. The specific attributes/traits 'in play' are tagged next to each skill. This was done to emphasise that any playstyle can not only have alchemy as a profession but you can actually increase traits like 'Strength' or 'Persuasion' while being active in this guild. This area pinpoints skills that will work in this guild and not how efficient they might be. This area pinpoints the skills that are most complementary to the entire system. Mountain's Mixture will being going full speed into developing the cultivation of Fungi and other alchemically valuable plants. 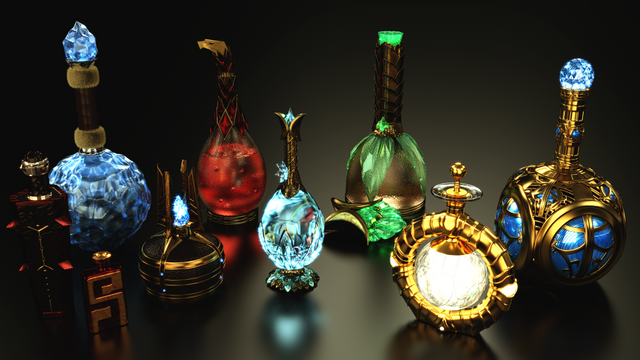 While not all potions will use these (although A LOT will) it's an extremely efficient way to generate an income. Once we hit a critical point where the guild is sustainable, research is largely player driven. The direction will come about through the longer members opinions, and decided by the leaders. As a new member this doesn't mean you have no impact, it means you have to woo someone in a high tier and make them more inclined to agree with your direction. Although becoming a higher tier member is not difficult. Technology is somewhat different and is more based on problem solving. If we reach a point where our potent concoctions start back firing, we will be immediately shifting research until that issue is solved and our facilities are up to code. You can't be sustainable if your mixtures end up coming out faulty or even become volatile. There may also be areas allowing us to generate more at once, meaning each station allows a single member to mass produce more. We would research that particular area if our storage begins stacking too high and we need to use more ingredients. This also means more alchemy skill for you! One last comment in this section... finding ways to mesh the Guild with OPC interactions is also a core focus. In a lot of cases it may just be farms that OPCs are allowed to work with... but if we find room to allow your character to work while you're asleep or at work IRL, then we are likely going to go down that path even if it poses some risk and a degree of waste. Again, the aim of this guild is for you to develop your souls skill ramp. If it's possible for you to increase your skill while you're not online, then we'll be chasing down that option till it surfaces. An easy way to put this is that we're focusing on OPC behaviour for your benefit, not the Guild's. 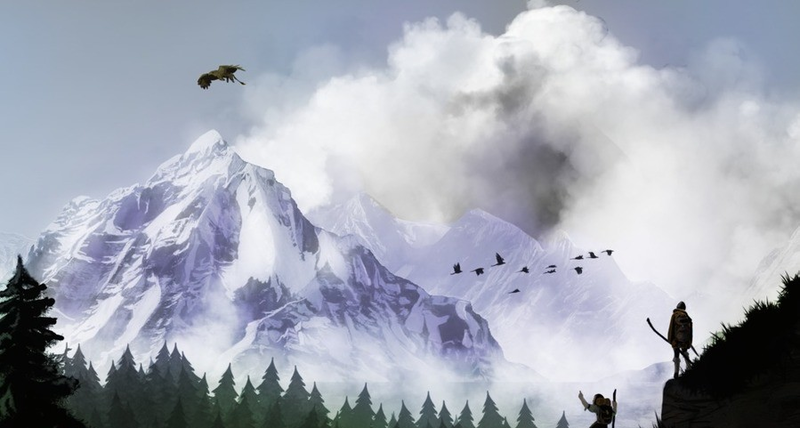 The Guild itself is planned to be built directly on a steep side of a mountain, near a hub of Hrothi. Our main building will have a tunnel leading into a large dug out room, filled with Fungi and other plants. This in of itself provides a massively potent benefit of joining this guild. If not just for the nonstop Fungi, for the elemental resistance you'll obtain being inside rather than harvesting the fields in the sun, wind, rain or snow. Wet lung, dry lung, easily burned skin or what ever else will find this particular Guild is much more agreeable with their skill sets as an Alchemist than almost any other alchemist Guild could offer JUST because even our Fungus farm is safe and sound indoors. The alchemist life style is a diverse kind. Hunters, combat masters and traders alike can join and make full use of it. Hunters and combat masters can seek out animals to train their combat on and bring back interesting ingredients [body parts/foraging] to work on. Traders will develop their skills as they assist the guild by selling its wares and purchasing our needs. The short version; you can play just about any type of character and benefit... financially... in combat... in social situations... for healing... to maintain a drug habit... to create one... In alchemy, the possibilities are incredibly broad. Everyone can benefit from this skill and it's great 'money'. OPC production is a core focus in Mountain's Mixture. We hope you find this attitude beneficial, as you can rest assured while at work, school or sleeping in, that your character is still working hard for you. OPC focus may include the sharing of scripts, it will also include an efficient guild layout (placement of objects) and hopefully other technologies or research that benefit the use of OPC. Directly outside the Guild foyer will be some basic stalls [they may end up being inside]. These will be tested for their viability and removed or added as we go. This is mostly a way to make use of OPCs, and also to allow the social guild members a way to increase their trading/merchant skills and enjoy the immersion. Mountain's Mixture will also host an "MM barter zone" periodically, where you can haggle our social-types and get some really good deals. The Hrothi and Brudvir are nice, and so is Aequitas! Expect some gracious trades for participating in the fun with us! Apart from simple stall sales and bartering events, we'll be interacting with particular settlement leaders, ally guilds and even smaller groups like nomadic Brudvir hunters. Although uncommon, we can reach out to outside biomes and trade food goods, and other valuebles, for glassware or glass sand. Overall Mountain's Mixtures will likely be a fairly quiet facility with a few bangs and the occasional smashing of glass making things interesting for a moment. This is less because of the desired culture we're shooting for as a Guild and more that this is likely how all Guilds will end up (because we're constantly busy, paying attention and attending to our own personal matters as the crops grow or our potions brew). As a result of minimal interaction, the Guild aims to increase visual and auditory stimulation. On top of the interesting sound effects, the Guild building will be decorated with art resembling our local fungus, vivid pictures of stars and a lot of plants indoors [if possible]. While rugs aren't common, we'll try to find an interesting approach to lighting and keep the fireplace in a particular area to encourage socialisation when it gets cold. Because of this the room is dimly lit and only being sparked to life as alchemy stations turn up the heat; hopefully providing some interesting colours in the dark for us and our neighbours to enjoy. The darkness also plays into MMs fondness for Astronomy. As such I'll be trying to find ways to have either a sky light in a particular area or access to the roof which is where we'll gather for our social events. When it comes to immersion in a skilling Guild of any kind, it's important for the members who basically live in it developing their skills to have something interesting in the area, something to engage with and a sense that they're still participating in the story, even when they're buckling down and researching alchemy. The Guild itself is in an incredibly beautiful location, with interesting, busy and polite characters all around you. The Hrothi and Brudvir are a very immersive tribe pairing to be amongst... You'll always see some Hrothi scurrying around busily going in and out of their amazing tunnels, or building up something grand. The Brudvir arriving from a fresh hunt or weary journey will appear worn but extremely happy to see you and be in town. Even if you're too busy to directly interact with them, there is plenty of 'people watching' to do in this setting. Surrounded by jaw dropping mountain vistas done beautifully by SBS [refer to the picture at the top of this post] you'll have your breathe taken away each time you walk outside of the Guild, especially at night. Inside the Guild there is also plenty to see. Besides the curious bubbling and boiling of someone elses next big idea, you can see small explosions startling a rookie alchemist and perhaps a tragic accident as you simply walk to your station. Upon traversing our decorated tunnel entrance that leads into our fungi farm you'll be met with our pride and joy. 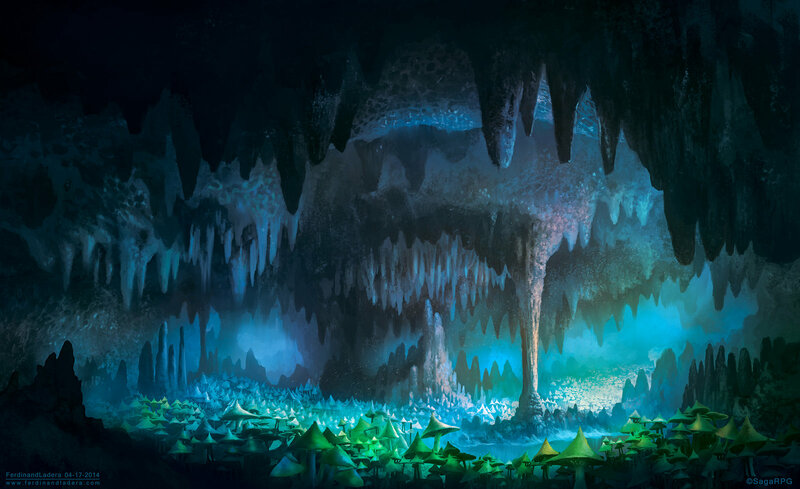 The open and vast cave in which we cultivate our special fungus will be, by far, the most decorated, thematic and aesthetic area in the guilds plot of land. Expect to see vivid colours and have a general 'special' vibe as you enter. This is also the place in which our low tier members are promoted to higher tiers as well as where our scholars teach people and master their own skill. It should be ripe for screenshot potential. In regards to something to engage with... each play type, whether they are combat based, intellect based or socially based will have their own role in the guild to play. The more money, glass and ingredients you bring in, the faster you climb in tier. Read the below 'Overcoming Problems' for a general idea on how each playstyle can approach and engage with this concept. Local Astronomers will be frequent visitors, who we will show heavy favour towards as a way of encouraging their path. If no one sticks with Astronomy, then we get no warnings on weather or particularly harsh seasons which directly effects Mountain's Mixtures ability to generate profit and alchemy proficiency. In our Guilds culture, Astronomers are honoured guests who will periodically visit us. This is generally considered a small gathering amongst the Guild; a social event. A small break in 'the grind'. We take a moment to discuss the behaviour of the stars, our personal stories, what journeys we want to take our souls on and perhaps even experiment with our more interesting mixtures... With the exchange of information complete, our stories being refined, and the following months worth of weather being read we soldier on and plan accordingly. Increasing our alchemy skill with incredible speed and enjoying the ride along the way. The guild itself will take up a large amount of land due to needing lands to farm on as well as a good chunk of mountain to hollow out. Being in the guild does not cost you anything, and increases your skill set extremely rapidly... you'll also be benefiting from our research, perks/buffs from the Guild and facilities you would othewise have to buy yourself. As a result, the Guild is planning to retain a degree of what you develop, until we're able to pay our taxes. Another way we're paying for the land is through mass producing crops. Some crops maybe pure food, and that would only be because they're more profitable than the alchemical ingredient options. Other than that the crops will be almost purely for leveling alchemy. This is a way to pay for the Guilds needs as well as giving you the chance to grind farming levels, which in turn compliments your profession as an alchemist. Though there are other ways to pay your contribution, especially as a Hunter. Each individual players contributions are measured, so that one hard working player doesn't end up paying for the entire guild (unless they choose to do that). You'll be constantly using and consuming finite resources. In the open world, you will often have to trade or build up glass containers yourself. Those struggles will cause you to develop your alchemy skill extremely slowly. In MM we provide all these for you, so you can go flat out on developing and experimenting with alchemy. To do this, we need each member to be okay with some degree of income to become the GUILD'S property and not just yours as an individual, because that would be like giving a lot of people a heap of free stuff, down to herbs, glass and facilities. There is simply no other way if we all want to increase our alchemy at a high rate of speed. Collaboration and contribution is key here, just as in any viable guild. In the end, you're not actually losing anything at all. You generate everything for free, the facilities and perks are free. The Guild acquiring some of the finished product that you've used to level up with is how we keep the glass and herbs rolling in for you. Once the basic needs are met (which will include vials, equipment, payment for the land, ingredients and other things) we fully intend on each member keeping their produce so they can develop their own currency... instead of the guild itself trying to accumulate large degrees of profit. This guild is intended to be a singular facility. However, the higher tier members may wish to create their own branch in other locations. During these periods of expansion, the guild members will be polled on whether they like the concept. After that, we will send requests to nobles and other ally guilds for an assistance in funding. The main idea of this guild is to allow members to develop their characters currency, fame and soul skill ramps as much as we can get away with, rather than filtering all the profits to the leaders of the guild. Due to this concept, we will always seek creative and social ideas to lessen the load on the guildmates if there is a desire to expand into other areas. To go full circle; expansion is driven by the members and NOT the leaders. If you take the initiative once you reach a higher tier member, we will assist your goals. Glass is a big one in alchemy. A lack of glass in alchemy is sort of like trying to be a lumberjack with no trees. As a result, we will be constantly seeking out trades for glass, preferably for alchemical resources that don't use vials themselves, or just raw food from our farms. This is another huge reason why farms are a core part of this guild. We NEED to pay for that glass, and farms provide a form of currency from thin air. Distributing alchemical products also means we may have to constantly pay for glassware. That is EXTREMELY inefficient and expensive. The Guild's plan is to be able to pay for this, but there is also a creative solution to this problem. First of all, it comes down to who we distribute potions to. The aim of the Guild is to sell mostly to Brudvir. Part of our Hunters job will be to do periodic rounds throughout the dispersed Brudvir settlements. Any vials they collect can then be filled with interesting contents if they're found in the wild. This means while coming back from the Hunt, they will be selling hide to the Brudvir (while collecting empty glassware such as vials), meat to the Hrothi (also collecting vials as they go) and arriving back to the Guild with a wagon filled with not only ingredients, but enough vials that save the guild a significant chunk of currency. In this way, the Hunters can pay off their contribution for potentially months ahead from a single load. The non-hunting members who like to frequent the town and climb in fame will focus a lot of their efforts on collecting the glassware around town and cutting generous deals to help you gain personal contacts (the Guild will support these acts, within reason). All in all, we really want to try and limit sales to the local regions so the glass doesn't move out of our kingdom. Second of all, we have to discover ways to make people keep their glassware instead of dropping it while avoiding giving them another vial filled with potion as compensation. We can outright pay for the vials, or we can pay extra in food. The Brudvir AND Hrothi are both food-hungry tribes. This may all we need to incentivise a large audience into keeping their vials and saving us in costs. Finally, if we want to broaden our market and sell outside of the local regions and make sales that will transfer the glassware out of biome, then we need to make the glass trade of equal. What this means is that if we sell potions, they are trading us something else that is usable glass, or glass sand that can be forged... instead of currency. The reason we need to do this is because selling for the sake of currency, and then finding ourselves in a glass deficit, means peoples production will slow down or out right close down. Our motivation is not profit, it's to increase YOUR skill. This makes the currency completely counter productive, even if we can buy more glass later on. We want your experience to be stable and consistent. This is the way it has to be if our guild members truly want to make the most of their alchemy. There is still a lot of profit to be made, and we can still sell out of biome if needed. People may be worried that this Guild has a large farming element to it. As an alchemist, this should make you happy more than concerned. If you're planning on running your own shop, then even a small alchemical farm will increase your profits massively. If you're planning on running around the world cutting things up with a poison blade and having limitless 'potions' to help you heal, then its worth pointing out that farming has been said to develop your physical skills. Whether you agree with farming or not, in the Hrothi and Brudvir Kingdom you won't be able to deny its ability to generate profit and make alchemy much easier. So farms generate money, alchemical ingredients and help the entire Guild's system perpetuate. But what happens if we get a bad yield? This is yet another huge reason for choosing the Hrothi. Besides the more alchemical fungus they can grow inside the safety of the tunnels, they can also cultivate edible mushrooms. In case of these situations, and to help promote a specific 'theme' for our guild, our Fungi cultivation caves will be very large. Another way to deal with bad yields, bad weather and the like is to maintain contact with Astronomers. This will also create a theme within the guild that will connect you to the overall story in Elyria as you immerse yourself in this busy trade. As long as we keep paying the Astronomers, and they keep developing their skill, they may one day get a clue in the stars on more than just the weather. Our Guild may very well be one of the first to get some key bits of lore. The astronomers we pay for readings will help protect our stability, and keep the Guild's culture very immersive and interesting. amazing idea. hope you will do this in Elyria .. I would have to say that is a bloody good write up.